Built in the 18th century this cosy, character pub has low beamed ceilings with scrubbed floors and quarry tiles oozing with character. The single room bar is divided by a chimney breast into a games area, public section and dining area with a reasonably priced, varied menu. 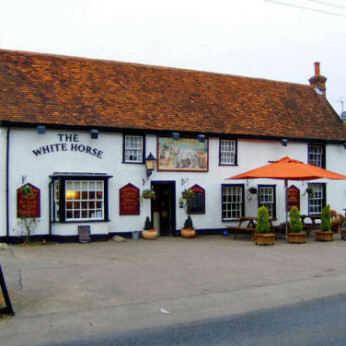 The White horse is run as a biker-friendly pub.